Deeming Rates have changed again and so that makes it a little easier to access the Commonwealth Seniors Heath Card (CSHC) so I thought I should revisit the way you can access this valuable benefit. A key change to legislation that commenced on 1 January 2015 impacts the Commonwealth Seniors Heath Card (CSHC) Income Test. Previously the Income Test only looked at a person’s adjusted taxable income, however the new rules include deemed income from account-based income streams. This may mean higher assessable income for some, making them ineligible for the card. For others, it may mean the loss of the card under certain situations from 1 January 2015. 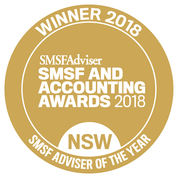 It is important that SMSF Trustees and Self Funded Retirees in general understand how these new rules work and how they can impact them in different scenarios so that appropriate adjustments can be made to their strategies where necessary. So here in this guide, we look at the rules around the CSHC as they apply from 1 January 2015 and the implications on different client situations. We will also explore options available to those effected from 1 January 2015 that can help them obtain or retain the card. other concessions offered by local governments and private businesses at their own discretion. These concessions vary between states and territories. Applicants are required to be in Australia at the time of claim, however once received, card holders can travel outside Australia temporarily without having their card cancelled providing the period of absence is less than 19 weeks. This will be particularly important for those who wish to retain grandfathering on their account- based income streams (discussed further under the grandfathering provisions section). From 1 January 2015, the Income Test assesses both a person’s ATI and deemed income from account-based income streams that are not grandfathered. A person will satisfy the Income Test if their ATI plus deemed income from their account-based income stream is below the relevant income threshold. These income limits are increased by $639.60 for each dependent child in the person’s care. For many people applying for the CSHC, the most important component of their ATI is their taxable income. However, there are circumstances where the other components of their ATI may be important such as where the person claiming the CSHC or their spouse is still working (e.g. on a part-time basis). 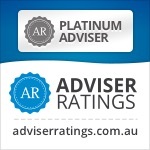 To verify the person’s income, Centrelink/DVA will generally require their tax return and/ or tax notice of assessment for the financial year prior to the year of claim. In situations where the person does not complete annual tax returns, Centrelink/DVA will request other documentation to verify the person’s ATI. For example, where a person only receives tax-free income from an account-based pension and does not complete an annual tax return, Centrelink/DVA will request their latest superannuation statement to work out deemed income (see the following section on deemed income for further information). For others, an estimate of their income as opposed to their tax return can be used. This is where they are able to demonstrate a change in their personal circumstances, such as retirement and ill-health, which would cause their income to be significantly different to their tax return. deferring and/or spreading realised capital gains across multiple income years. From 1 January 2015, account-based income streams will be deemed and included as part of the CSHC Income Test unless grandfathering provisions apply. Where grandfathering does not apply to the account-based income stream, the entire account balance will be used to work out deemed income. It is important to note that deemed income is in addition to ATI; meaning a person with no ATI (e.g. a retiree with no other income apart from tax-free income from an account-based pension) may still be ineligible for the card if their account-based income streams have large account balances. The table below shows the amount required in account-based income streams to have deemed income exceed the relevant CSHC income threshold (assuming no ATI). It also highlights how this amount changes from 20 March 2015 and if deeming rates were to rise to 3% and 4.5%. Also worth noting is that, unlike deeming of financial investments for social security pensions (although the same deeming rates and thresholds are used), only the account-based income stream will be deemed i.e. other financial assets are not deemed under the CSHC Income Test. If you want to know current thinking on the amount needed for a comfortable retirement then read my earlier article How much do I need to live comfortably in retirement? Feel you are falling behind? Then read 10 Tips For Salvaging Your Retirement Plans and then contact me for personal advice.